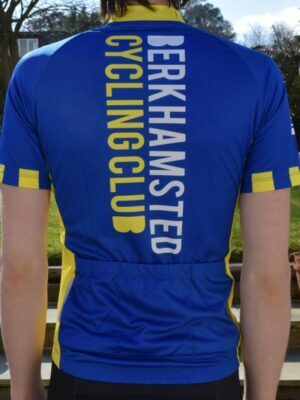 Welcome to the BCC Kit Shop. 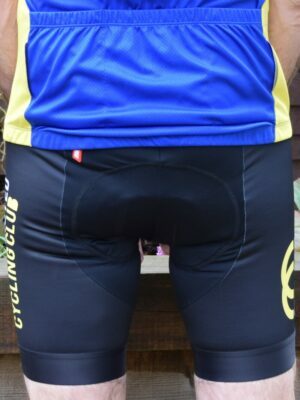 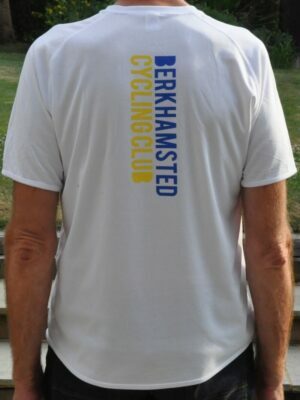 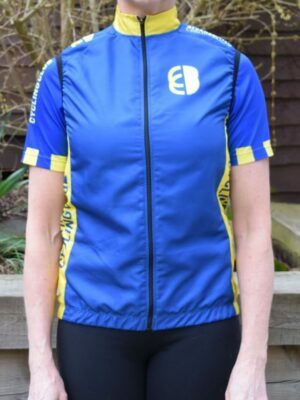 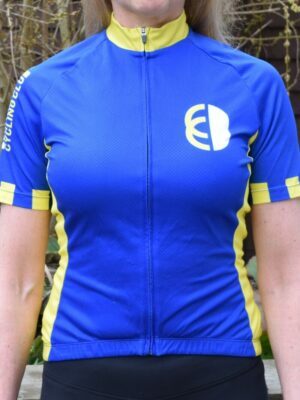 Berkhamsted Cycling Kit was designed in 2014 and presented to us by the Mayor of Berkhamsted in January 2015. 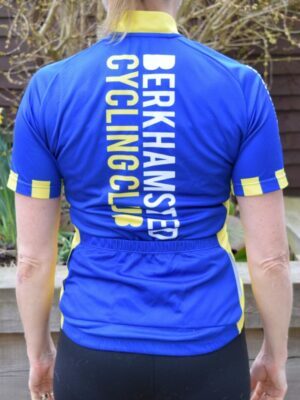 We decided to use the blue and gold colours found on the Berkhamsted town shield for the kit, the chequered trim is a nod to the Berkhamsted Castle battlements. 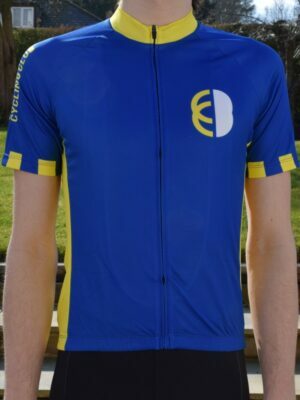 It’s worth mentioning and thanking the designer here – Stuart Grunsell, who is a friend, fellow cyclist and professional designer. 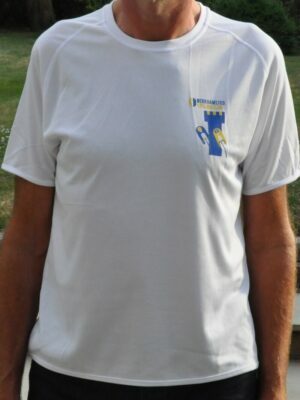 He came up with these designs based on the brief from the committee – thanks Stuart, fantastic job, we are very grateful. 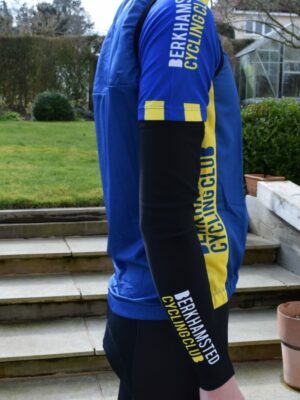 All garments come in Men’s and Women’s fit except the foul weather jacket, arm warmers and cap as they are unisex. 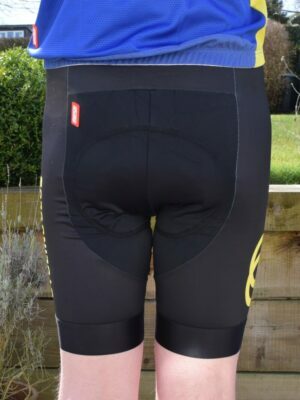 The sizes are listed when you select options for the item. 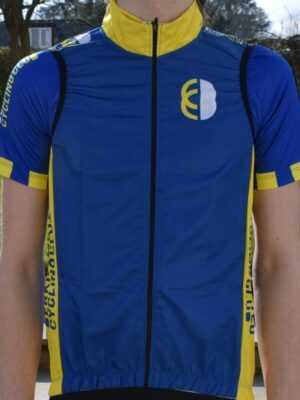 Select the item(s) you require, checkout and pay. 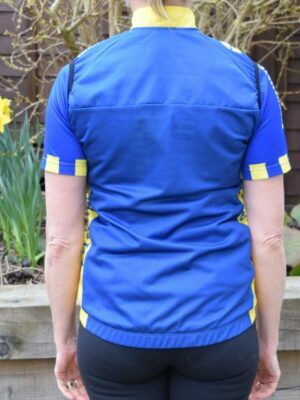 You will be sent an email from kitorders.berkocc@gmail.com confirming your order (if you don’t receive it check your spam/junk folders). 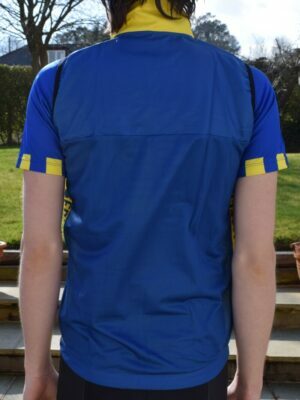 • If the item you require is out of stock please click here to fill out an order form with your request and we will add it to our next order. 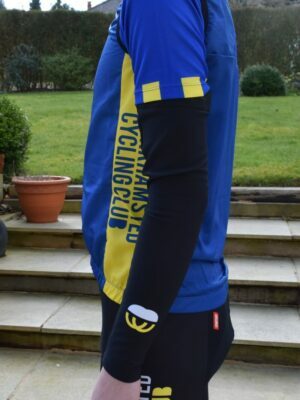 • The items are COLLECTION ONLY after the Saturday club ride or by prior arrangement with the club Kit Officer.